At a time when creativity and the ability to think and innovate are becoming increasingly foundational to opening doors to more rewarding careers and lives, are we providing the tools and opportunities that young people really need? What if we could re-imagine an education system that better equipped young people with the skills to collaborate, think and build together? Creative Forest is a platform that builds collaborative learning communities and knowledge networks based on a classroom proven model. We take a design led, learning ecosystem approach to providing the scaffolding that students need to manage projects, teams and imagination in a fun online environment. The students not only develop project skills, but also learn how to collaborate with external mentors and other kids with complementary talents. 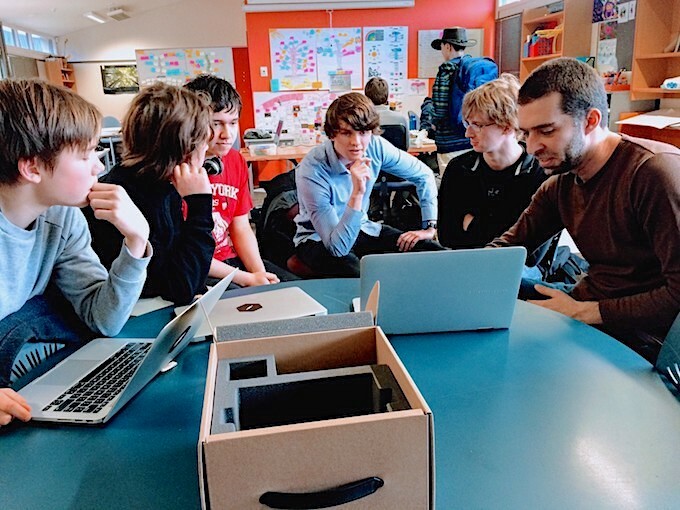 Creative Forest evolved from a highly successful classroom initiative that ran for ten years in a New Zealand high school setting and was developed by Creative Forest founder Renea Mackie with the assistance of leading designers, developers and educationalists. Now we want to take Creative Forest to the world using an interactive platform that both supports teachers with a live project based learning framework and fully engages learners. We are walking the talk ourselves of course – so we’re looking for collaborators to help us go global, starting with rural schools and high schools in smaller towns. If you are a school administrator with big plans, a software developer with an amazing skill set or an investor who wants to bring change to education – we’d love to hear from you. © 2019 Creative Forest Ltd.